First, educators will work one-on-one with students to evaluate each student's learning style and individual needs. Then, for each of the areas listed above, educators will get a chapter with step-by-step cognitive learning strategies, case studies, and charts that summarize the steps as mnemonic devices. An overarching five-step model (the Active Learner Approach) for effective instruction helps teachers introduce these strategies to students, model the steps of the strategies for them, give students guided and independent practice applying the strategies to assignments, and assist students in generalizing the strategies to other subjects and settings. With this easy-to-use guide, educators will be able to help students recognize their learning characteristics, apply strategies to meet the specific demands of their coursework independently, and reach their educational goals. 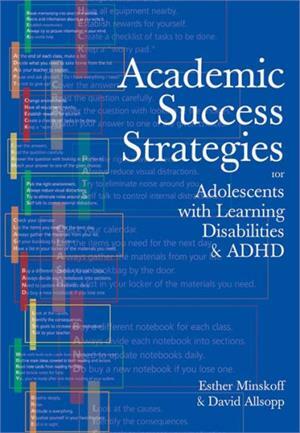 "Building on their extensive research and practice, [the authors] have written a powerful and practical guide for helping challenged adolescent learners. . . . This book is an invaluable resource not only for special education teachers, but also for all middle school and high school teachers in inclusive classrooms.This book is an invaluable resource not only for special education teachers, but also for all middle school and high school teachers in inclusive classrooms." Review by: Steven Evans, Attention! "The authors should be commended for emphasising teaching techniques and supports that foster independence. . . . [T]he book is a helpful resource for parents and teachers." "[This book is] a masterpiece of internal organization, making it very easy to use for reference and containing an overwhelming range of strategies to support pupils in developing the ability to be self-assessing, proactive, independent learners. . . . I shall continue to refer to it and use it as part of my 'teachers' toolbox.'"